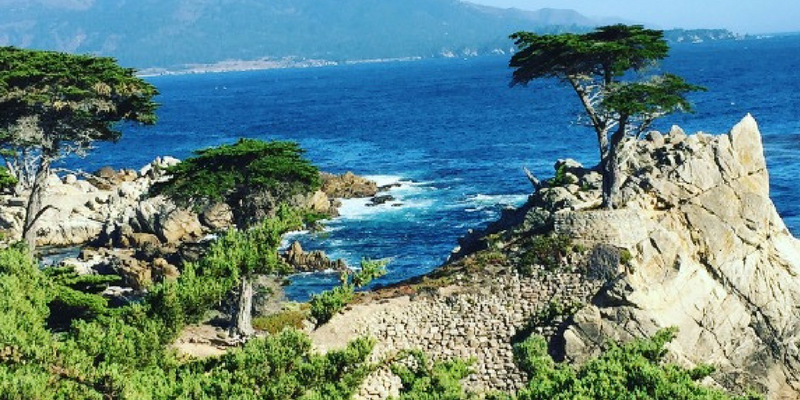 After the small town vibes of Cambria and Monterey our next road trip destination took us back to the hustle and bustle of Americas West Coast cities. Taking a brief detour to Silicon Valley to visit the famous headquarters of Apple and Google, we arrived in San Francisco around midday to spend a whirlwind 2 days exploring the city. This was nowhere near enough time to get to grips with everything the city has to offer. None the less, it was certainly enough time to fall in love with San-Fran and its diversity of people, eclectic mix of cultures and to gain an appreciation for its tragic history. During our visit, we stayed at the Holiday Inn On Fisherman’s Wharf. At around £170 a night, I would say that this is expensive for what you get. The rooms are dark and dingy and the hotel as a whole is outdated. But, really you’re paying for the location – which couldn’t be better! 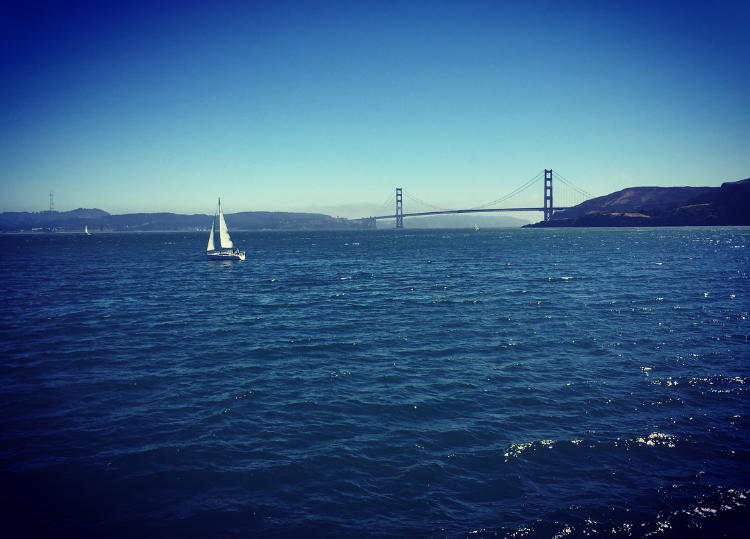 The Hotel is less than a two minute walk away from San Francisco’s famous Fisherman’s wharf. 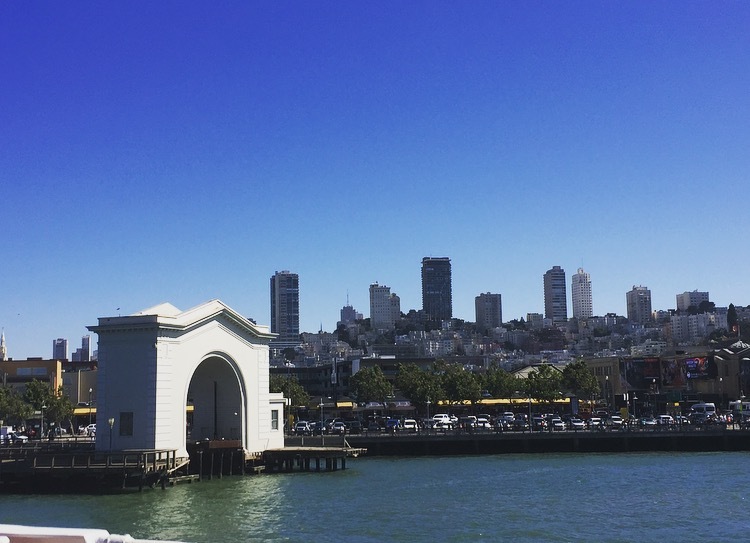 As such, after checking in and dumping our bags (in the less than appealing rooms) we headed down to Pier 39 on the Wharf, which offered a true flavour of the city. The Pier was filled with people. However, unlike on Hollywood boulevard, it didn’t feel overcrowded. Everybody seemed more relaxed and happy to take in the sights at a leisurely pace. The many street performers and urban artists along the Pier were a joy to watch. To me, they envisioned San Francisco’s youthful image. Further focal points from the pier were: K-dock, which offers a fantastic opportunity to view Sea-lions returning from the bay, and the boutique shops… Although these did mainly sell tourist merchandise or fairground sweets/candy. After heading briefly back to the hotel for some down time, we were off out to explore again in the early evening. This was where the hotel’s location proved fantastic. 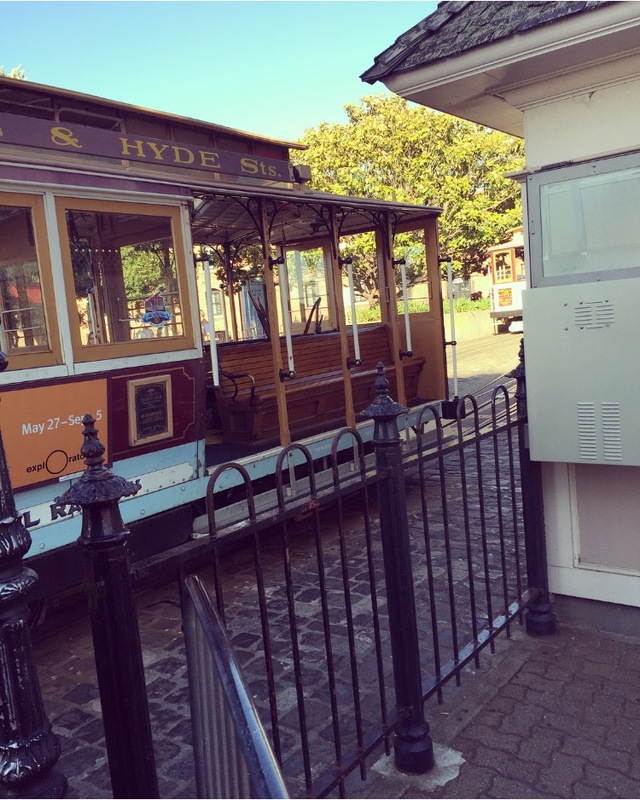 Not only is it within walking distance of the Wharf but also one of the main stops of the cities historic and iconic cable car. 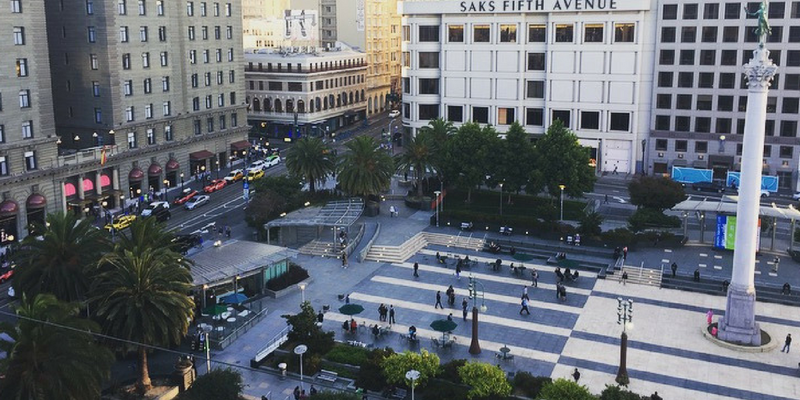 Less than a five minute walk away, is the Market and Powell Street stop. Which is also a turn around – offering a glimpse into the inner workings of the cable car system. However, being one of the main stops on the system, the queue was extremely long. We must have waited for at least an hour… Luckily, the stop’s location offers incredible views onto the bay which kept us occupied during the wait. TOP TIP: if you’re not willing to wait and keen to avoid the queues, simply walk to the next stop down the line… Although, you might not get as a good a seat. A single journey costs $7. Which although steep, is defiantly a price worth paying for the unique experience. 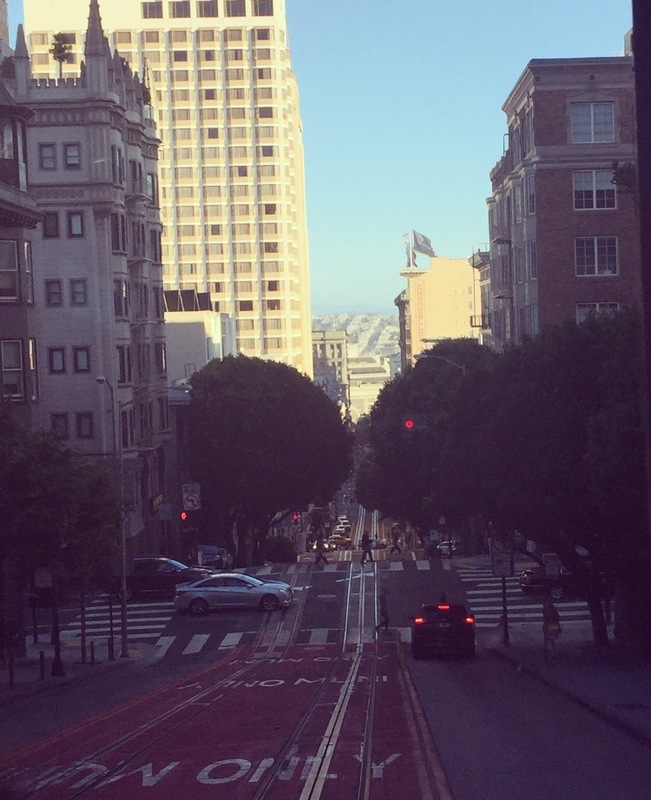 The car jutters, jerks and bumps up San-Fran’s famous hills making you feel slightly on edge. Especially on the way back down! But doesn’t a little bit of danger just add to the fun? Our destination was Union Square. Which with its high-end shopping and historic hotels, proved a great place to shop (even if just through the windows), eat and enjoy San Francisco’s hospitality. 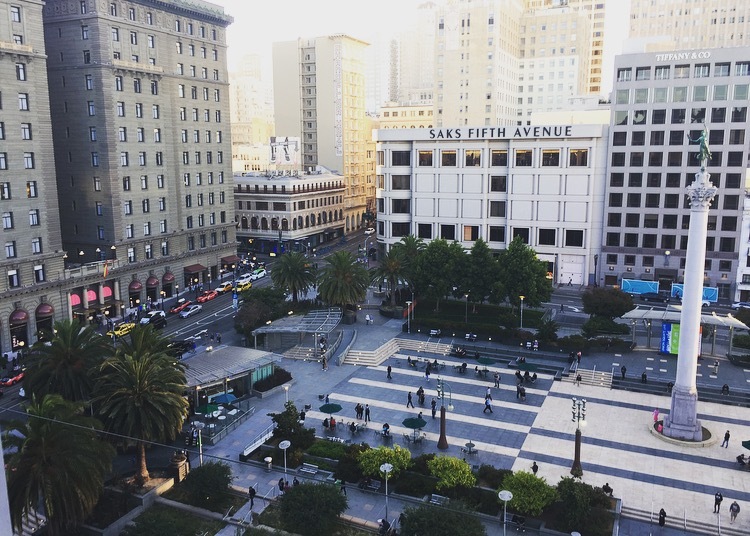 We had a late dinner at the cheesecake factory – which being situated on the top floor of Macy’s, offered a spectacular roof top view of Union Square and wider San Francisco. 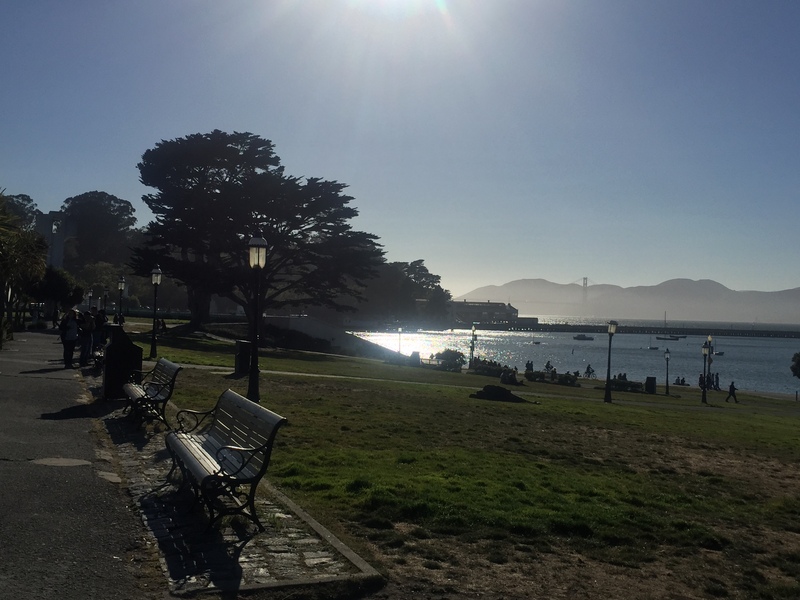 Within less than 24 hours, I was in love with San Francisco’s Uniqueness. It almost instantly became my favourite city in the world. As the day drew to an end, I was exhausted but excited for what the next day of adventure within the ‘Golden City’ would offer…. Planning a trip to San Francisco? 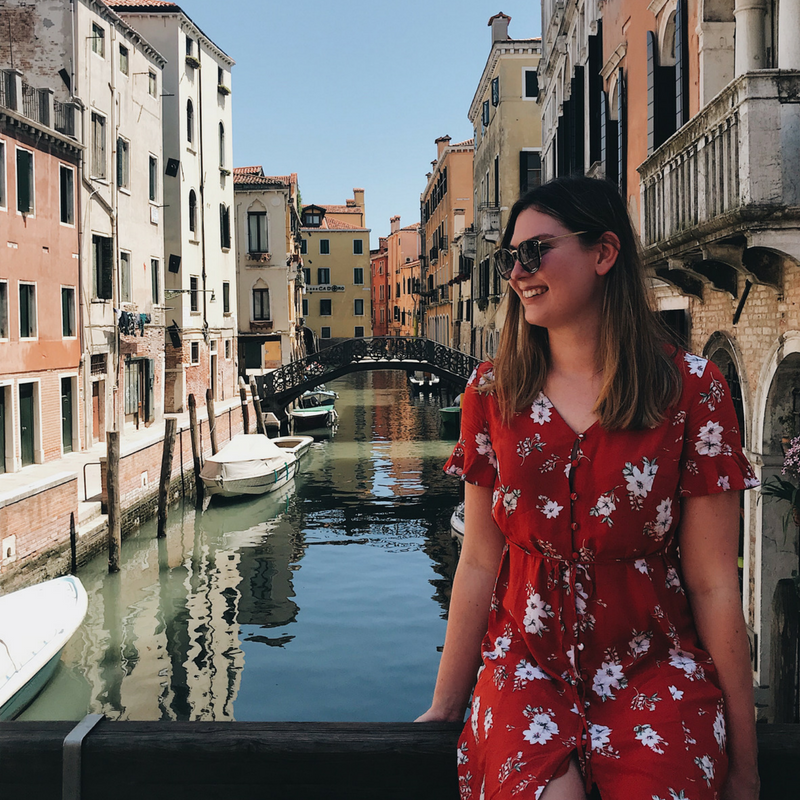 Any tips on things to do in the city? Or simply have a comment on the post? I’d love to hear from you! feel free to comment at the bottom of the page.